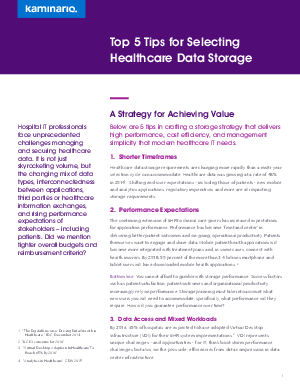 Hospital IT professionals face unprecedented challenges managing and securing healthcare data. It is not just skyrocketing volume, but the changing mix of data types, interconnectedness between applications, third parties or healthcare information exchanges, and rising performance expectations of stakeholders – including patients. Did we mention tighter overall budgets and reimbursement criteria?